It is not possible to copy a track from an Audio CD to your computer hard drive with Windows system tools, but you can do it by ripping the audio CDs to digital audio format. This article introduces a professional CD Ripper for Windows 10 and a free CD Ripper for Windows 10 and guides on how to rip CD, CDA tracks to MP3, FLAC, WAV, AIFF, OGG, M4A, M4R, etc. in Windows 10. 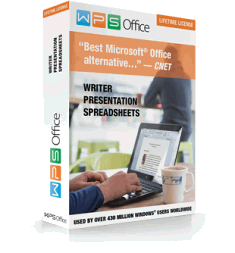 The guides also works on Windows 8, Windows 7, Windows Vista, Windows XP. 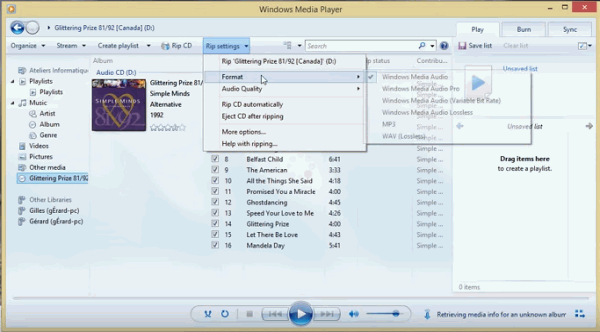 Windows Media Player is a media player and media library application developed by Microsoft that is used for playing audio, video and viewing images in Windows. In addition to being a media player, Windows Media Player includes the ability to copy, rip CD to WMA, MP3, WAV. So, Windows Media Player can be your free CD Ripper for Windows 10 to help you rip CD to WMA, MP3, WAV in Windows 10. Many modern laptops, and even desktop PCs, no longer include CD drives. If your computer includes a CD drive, you’re good to go. If you don’t have a CD drive in your computer, you can buy CD drives that connect to a laptop or any other computer over USB with a little pennies. Before ripping CDs in Windows Media Player, it’s best to retrieve the media information. This helps you organize your songs before they are imported and saves you the labor of typing in the pertinent details one by one. Windows Media Player connects to the Internet to automatically identify your CD; and fills in the album’s name, artist, and song titles. By default, Windows Media Player rips CD to .wma with CD quality encoding. To rip CD to MP3, click “Rip settings” and choose “Format”, then choose MP3. 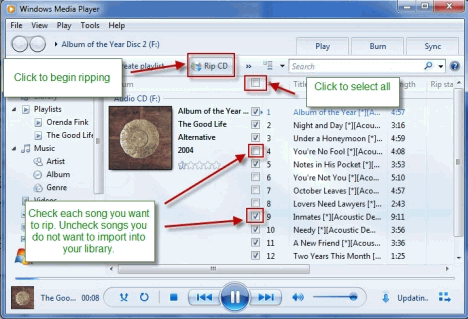 Windows Media Player allows you to rip CD to MP3 in 128kbps, 192kbps, 256kbps, 320kbps. Higher bitrates give you higher sound quality. You can change the ripping quality in “Audio Quality” option. To rip CD to WAV, click “Rip settings” and choose “Format”, then choose WAV (lossless). Once you’ve configured your rip settings, you’re ready to rip CDs to your library. You can choose which songs you want to rip. Check the box next to a song to include it and uncheck it to omit it. Check the box at the very top to select all the songs. Finally, when you’re ready to rip the selected songs, click “Rip CD”. When the rip begins, the “Rip CD” button will change to “Stop rip”. Click this only if you want to cancel the rip. Also, you’ll see the ripping progress to the right of each song. Xilisoft Audio Converter Pro is a professional CD Ripper, CD converter, CD burner, audio converter, audio editor for Windows 10. It convert CD to nearly all audio formats FLAC, AIFF, MP3, WMA, WAV, AAC, OGG, APE and many others, and make CDs available on different music players. It can batch convert among all sorts of audio formats (including MP3, WMA, WAV, AAC, FLAC, OGG, APE, AIFF, SHN, TAK, Apple Lossless ALAC), extract audio from different format video and HD-video files (AVI, MPEG, WMV, MP4, FLV, MKV, H.264/MPEG-4 AVC, AVCHD). The CD Ripper for Windows 10 can convert an audio segment or several files at once, split a file into sections, simultaneously output a file into several formats and to the required size, adjust conversion parameters, edit ID3 tag info, add various audio effects, along with a variety of other great features. Moreover, multithreading and multi-core CPU processing are supported for offering high speed conversion. This CD Ripper for Windows 10 is fully compatible with Windows 10, Windows 8, Windows 7, Windows Vista and Windows XP. Trial version only allow 2 minutes conversion for each file. If your file in is no longer than 2 minutes, only half will be converted. Download Xilisoft Audio Converter Pro, install and run it.